Kate and Oli: Focus On...HaydenJ And A Giveaway! Have I mentioned that I'm a purse fanatic? Along with books and shoes, purses are a commodity I am constantly buying and constantly trying to find storage for. I've done the behind the door thing, the hang on the wall decoratively thing, the basket under the bed thing. Enter HaydenJ, a fabulous shop dedicated to toting your stuff in style. It doesn't matter if you have a lot of stuff or a little, Aimee has any size bag for you (and in cute prints). Read on for her interview and a special treat for readers! Recently relocated to UT from CA …. I know, I know probably the furthest I could get from the fashion industry - but much closer to family! Went to School for fashion design and merchandising. I am seriously addicted to fabric. I had been sewing since I was young, making bags and clothes for myself and friends. It was perfect timing when my brother requested a diaper bag for their 3rd baby and my step mom told me about Etsy… all the pieces just fell into place. I am mostly inspired by what I would want in a bag. Prints, functionality, etc. I listen to the most random mix of classic rock, country, pop… whatever the Ipod feels like throwing my way. It’s a toss-up between the Weekend Tote in the Autumn Vine Print and the Pleated Purse in Linen and Chocolate damask print. If you can't wait and you'd like to buy your own, go here! If you'd like to enter to win, read on! Head over to HaydenJ and choose your favorite item. Come back here and leave a comment with your selection. 1. Become a Facebook fan of HaydenJ. 2. Tell me what the strangest items I would find in your purse are. Fine print: Giveaway begins when it is posted and ends at 11:59pm pacific standard time March 21, 2010. A winner will be selected by a random number generator on the morning of March 22, 2010 and will be emailed promptly. HaydenJ will ship anywhere in the US! I think that the Weekend Tote - Black and Linen Damask is wonderful. What a great bag. I have little jellied fruit in individual packets. I do not like these things but my nieces and nephews do so I keep them and a Thomas the train item in my purse. Why it is weird is because I do not have children myself. but I am with the nieces and nephews quite a bit. Okay so I got excited about this...because over the past couple of years I have become a purse hound...YES! Anyway, lovely shop...I had to favorite it, and favorite a cosmetic bag that I'll probably end up purchasing, because, well...its pretty and functional...and might get a purse too...lets just say...I'm a fan of everything in her shop...and now I'll go fan her on facebook as well...great article! I love, love, love the zebra print convertible hip pouch. It would be perfect for traveling and touring!! 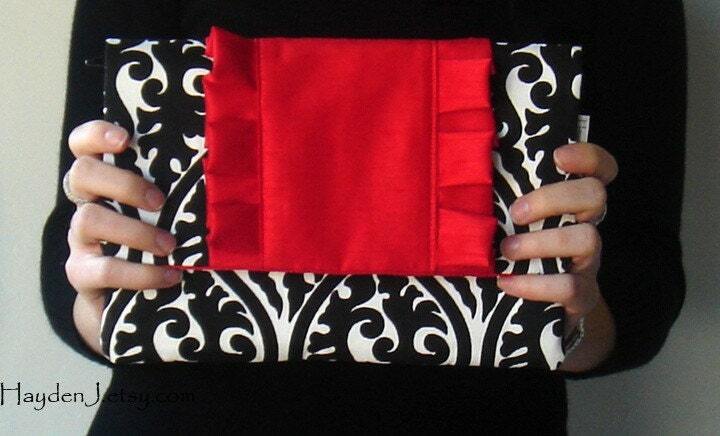 I also love the Ruffle Clutch with White and Black Damask abd Aquamarine Dupioni Silk. Strangest things in my purse... coritsone cream and Dr. Brandt's water booster. The cream because I'm alergic to wool and bug bites. The itching drives me crrrazy! The water booster so I remember to use it everyday. Good for the immune system during flu season. And the strangest things in my purse are probably some old wadded up receipts, because I need to clean the purse out more frequently. And the strangest thing in my purse is usually my notebook full of sketches/collages/writing, I take it everywhere in case inspiration strikes! 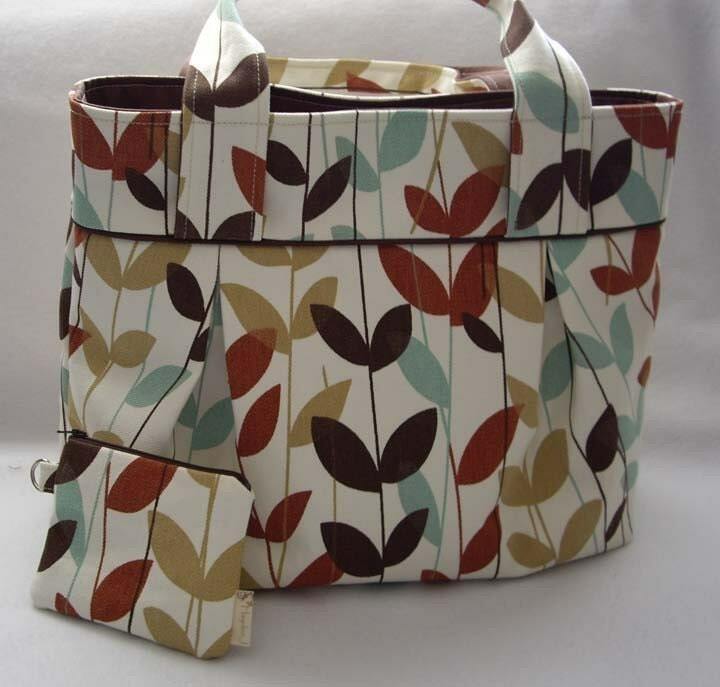 I like the Pleated Shoulder Bag with Adjustable Strap - Autumn Vine Print. I added HaydenJ fan page on Facebook. and strangest thing in my purse.. a copy of "wreck this journal" by keri smith. My favorite is probably the bow clutch. I love the color splash of red that the bow adds to the black and white background. 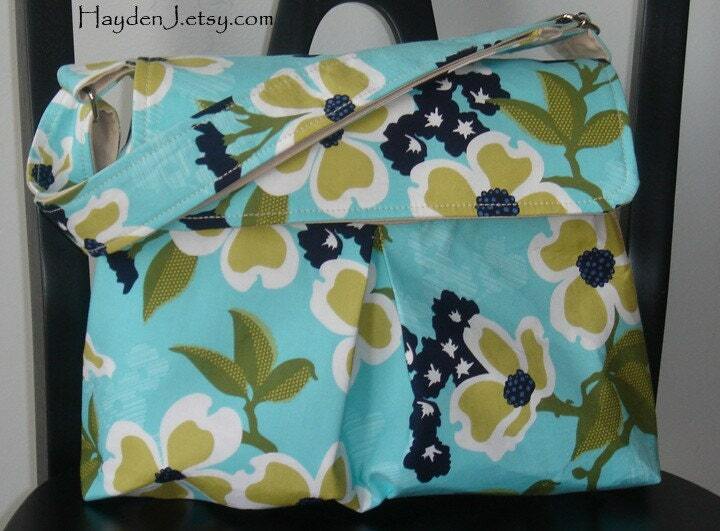 My favorite item from her shop is the Pleated Purse with removable strap - Clutch - Wristlet - Aqua and Brown Damask. I just became a follower of your blog. The purses are lovely. Thanks for the wonderful giveaway. I'm a follower (GFC) and I love the Weekend Tote - Black and Linen Damask. Some of the strangest items I carry in my purse are my USB drive and a million elastic hair ties (however, I never seem to have a hair tie when I need one...go figure). hmm...i generally don't carry a purse, but i remember in jr.high school (many MANY years ago) a friend of mine carried a brick! Fan of HaydenJ on FB! I love the Pleated Purse with removable strap - Clutch - Wristlet - Glam in Mocha! 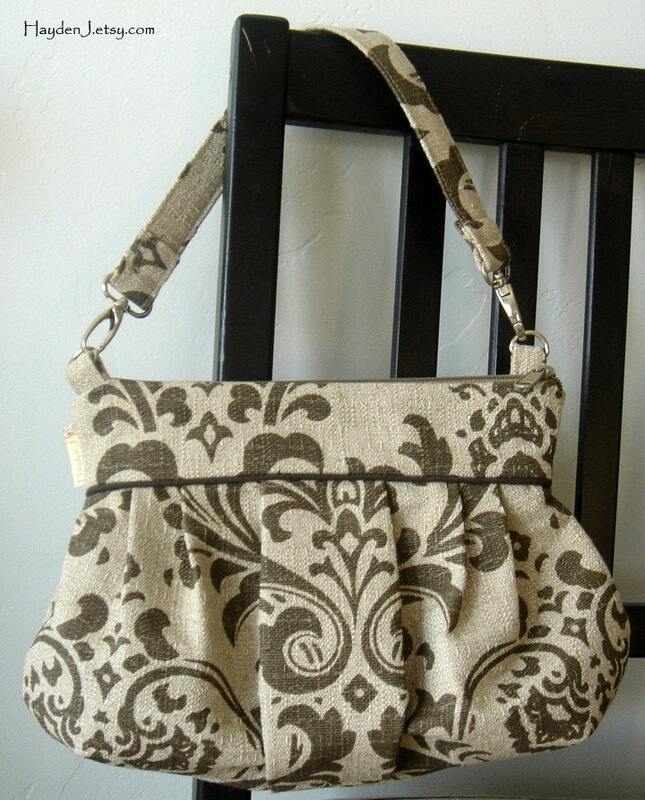 I love the pleated purse - olive and brown damask. I always have food in my purse. Currently - Luna bars. My fav is the "ruffle Clutch - White & Black Damask with Aquamarine Dupioni Silk" - stunning! Last one, I promise - the weirdest thing I found in my purse the other day was a ticket from the Liberace museum in Las Vegas. Random! I went there a year ago! I love the color combination and it is so cute! I am a facebook fan of HaydenJ! The strangest items you would find in my purse would probably be a miniature first aid kit and a pack of unopened Kleenex. Hey, you have to be prepared! I have posted about this giveaway on my facebook! 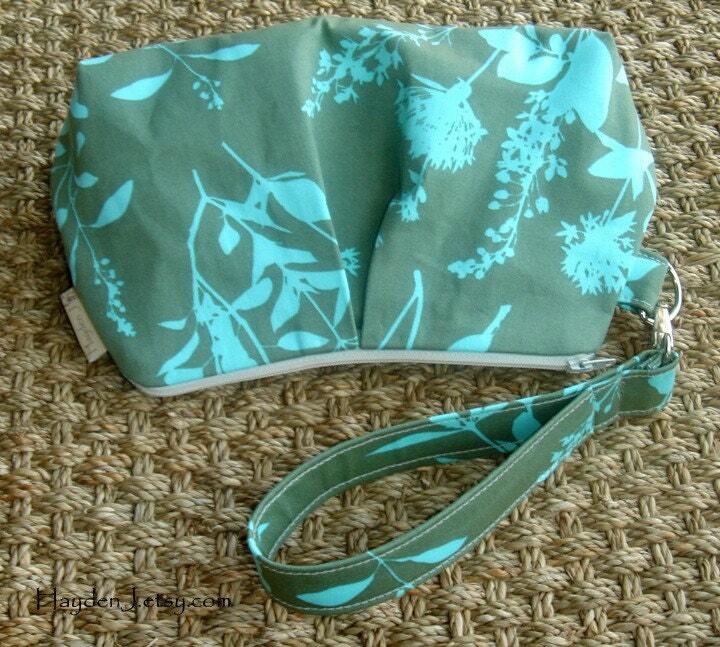 "Pleated Wristlet Pouch - Joel Dewberry Wildflowers Sage"
Strangest item in my purse would be a 2 loop magnifying glass. 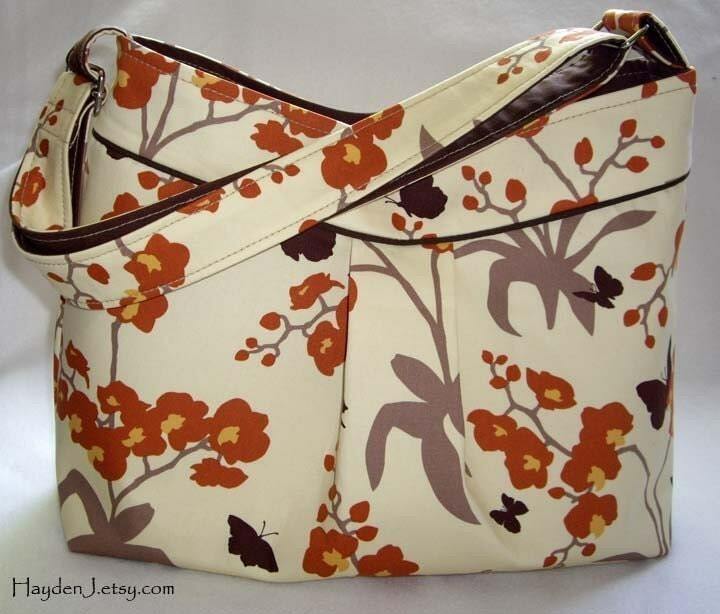 My fave was the shoulder bag in the Autumn Vine Print. I love the colors of that print. 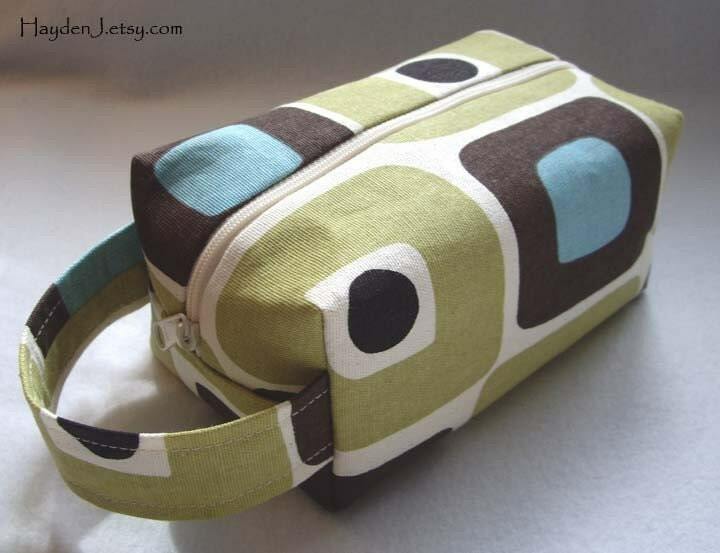 I love the Weekend Tote in Aqua & Brown Damask - how perect would that be for traveling! LOVE!! 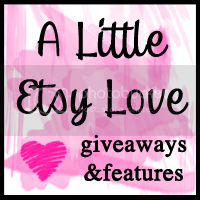 Thanks for sharing this shop with us...I put a few of her items on my "must have" list! I became a fan of HaydenJ on Facebook & left a comment on her Facebook page letting her know that I found her through Kate & Oli! Thanks! The strangesst thing in my purse right now...diapers! Ha ha! I guess it identifies me as a mom on the go - I hate diaper bags! :) And hey, at least they are fresh diapers! LOL! I posted about this giveaway on Facebook - to see the post, follow the link below (the post is on the wall of the Facebook page). I am a follower and I love the Weekend Tote - Black and Linen Damask. You would find lots of Hot Wheels. My son can shop for hours as long as he has his hot wheels. I love the pleated Shoulder Bag in the Joel Dewberry Ginseng Collection Orchid in Ivory. LOVE the Mod Square Weekend Tote!! This isn't all that strange, but I carry a bunch of folded up ziplocs for dirty diaper disposal when we are away from home. I'm a facebook fan of HaydenJ. I love the pleated wristlet in autumn vine. I just love them all, and every single print is lovely and the designs are fantastic too! I love trees so that is the main reason I went with that one. I don't think I carry any strange items with me, but I always do carry a pack of floss (cause u never when it could come in handy-even if I need to sew something). I am drooling over those compartments. I'm always losing things in my purse!! I am loving those weekend totes, especially the Amy Fields, August Fields, Graceful Vine one in Ivory. Ohhh...hm. Maybe I shouldn't be looking so carefully at it or my pocketbook may be feeling a pinch soon! Pleated Shoulder Bag with Adjustable Strap -Joel Dewberry Ginseng Collection Orchid in Raspberry. Absolutely love love love the Amy Butler Weekend Tote!! I'm a mother of an 18month old in my purse right now you will find diapers, a juice cup, one shoe, and so stray cheez its! In my purse you will always find Burt Bee's chapstick, my camera and picture of my bulldog! I love the Pleated Shoulder Bag with Adjustable Strap -Joel Dewberry Ginseng Collection Orchid in Raspberry! the strangest thing you would find in my purse is a 3 month old jolly rancher! I love the Pleated Purse/ Wristlet in Linen and Black Damask. I follow your blog via Google Reader. Thanks for the great giveaway! 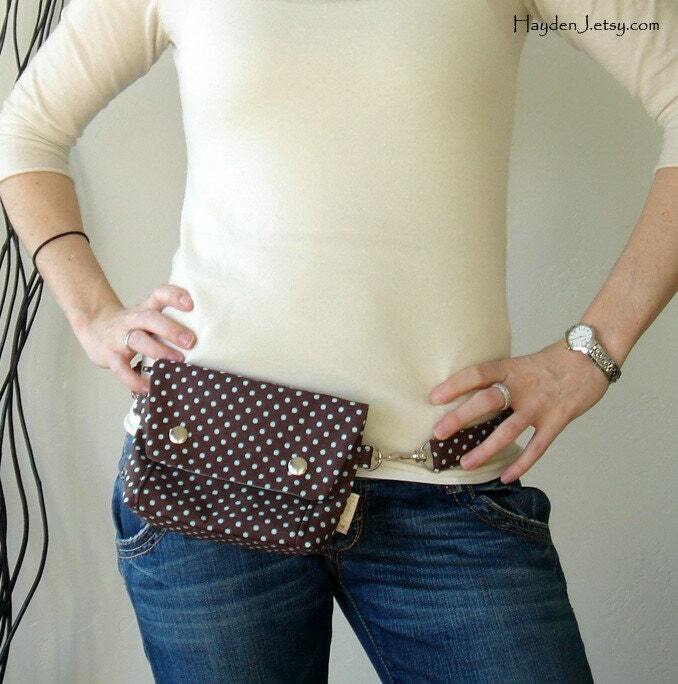 I really like the Petit Wristlet- Joel Dewberry Sage. The strangest thing in my purse is usually a matchbox car.